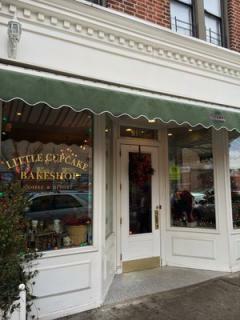 The Little Cupcake Bakeshop first opened in Brooklyn in 2005 where they specialize in traditional American Desserts. They use fresh and sustainable ingredients that come directly from locals farms, and bake on-site every day. No preservatives. Milk comes from grass fed cows that are used in their pastries and Non-GMO illy coffee. Every location is "green" and support the local community and the sustainable development of the community. Every location uses energy efficient appliances and equipment. All the materials that go into these stores are salvaged and/or recycled. The cleaning solutions used are toxic free and the packaging used is made from corn or recycled mulch and is 100% biodegradable. Sozialer Ökohof St. Josef e.V.